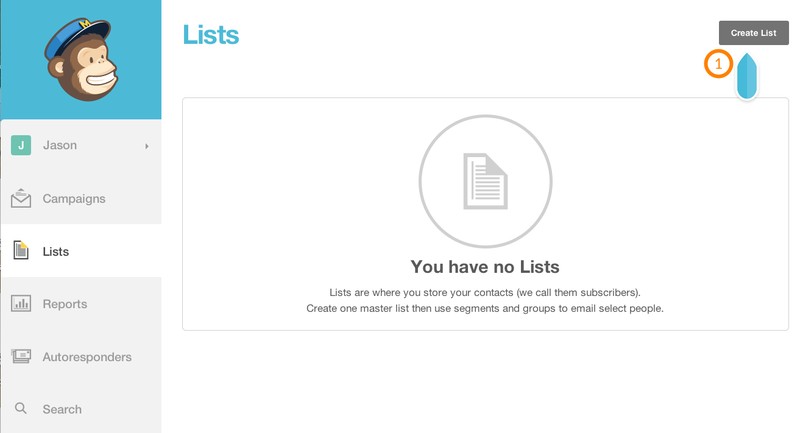 Have a list of emails to import as the starting point of your email list? Is this account for you or your client? 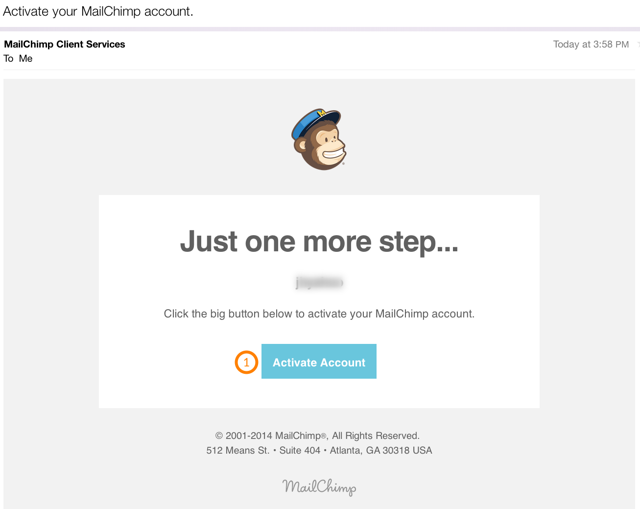 MailChimp Getting Started Emails? Yes. Clicking the Save and Get Started button above presents you with this screen. 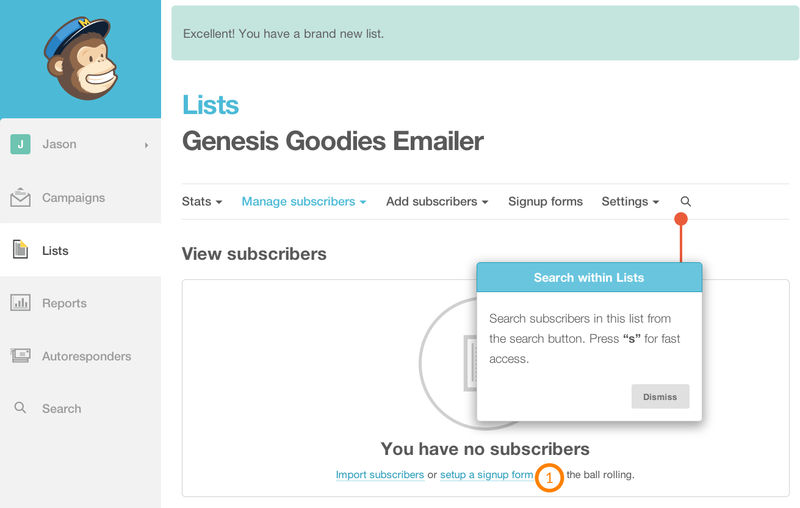 Enter your text to show above the entry field, explaining the benefit to readers in joining your email list. 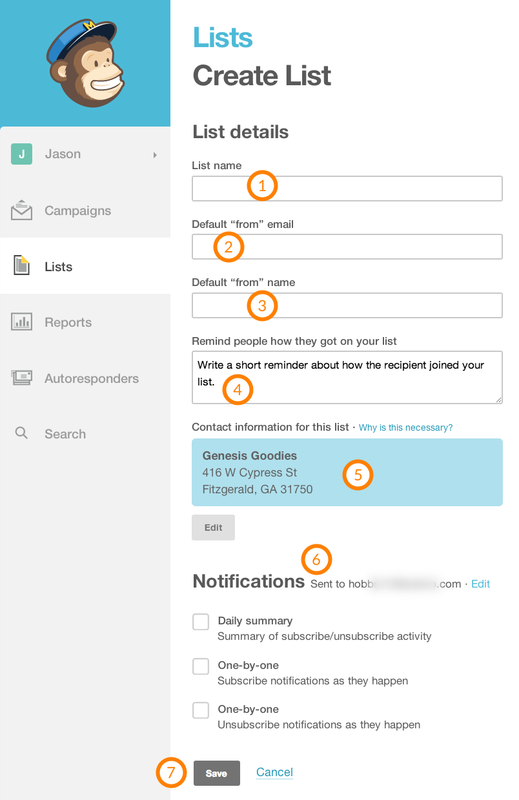 Enter EMAIL into the E-Mail Field If you want users to fill in their first name, enter FNAME in the First Name Field. For users to enter their last name, enter LNAME in the Last name Field. 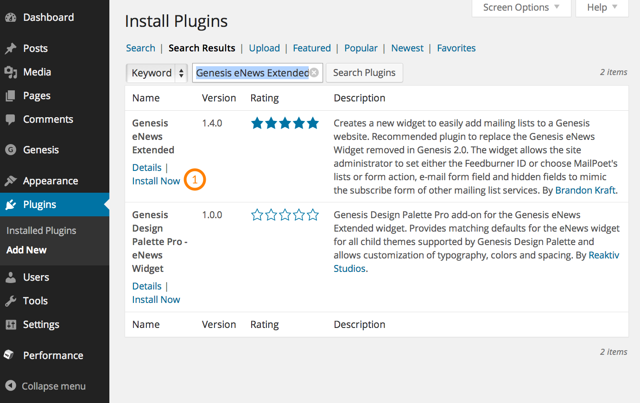 This is the Genesis eNews Extended Widget inside the Primary Sidebar using Parallax Pro, the Genesis Child Theme. 4. Having trouble with the tutorial? Comments are on, just ask Jason a question about troubleshooting this tutorial, in the comments or use the contact form. 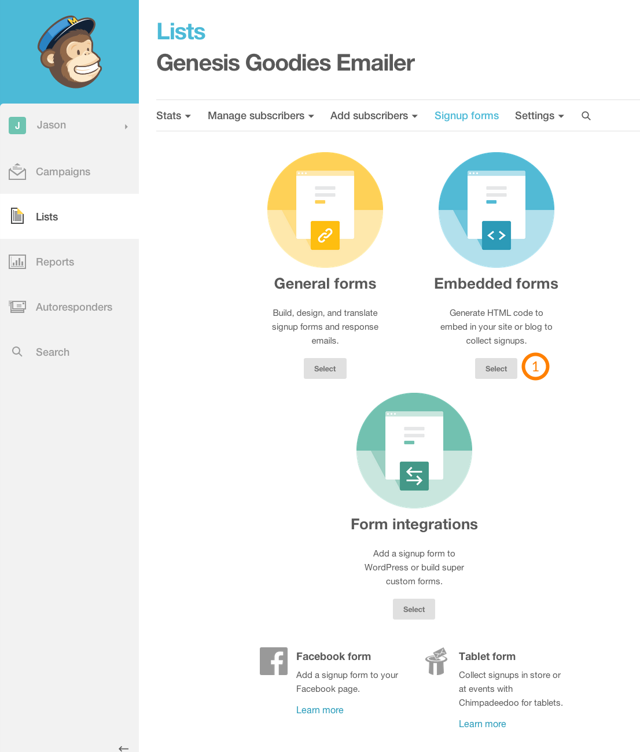 Why don’t the error messages show on my site (inline) rather than showing on the MailChimp site? The inline error messages require your theme use HTML5 to work. If your theme is not built with HTML5, the errors will be displayed on MailChimp. Awesome tutorial. I have decent web skills but would have stumbled (or wasted major time) if not for your tutorial. Thanks. Especially liked the screen shots. I found this article really helpful – thank you. I followed the steps for MailChimp but when I test to subscribe I receive an error on a MailChimp page. It forces me to re-enter my contact info again. I used the Naked setup but does something else need to configured? Yep, you have to take the url from that code snippet and ignore the rest of the code snippet. 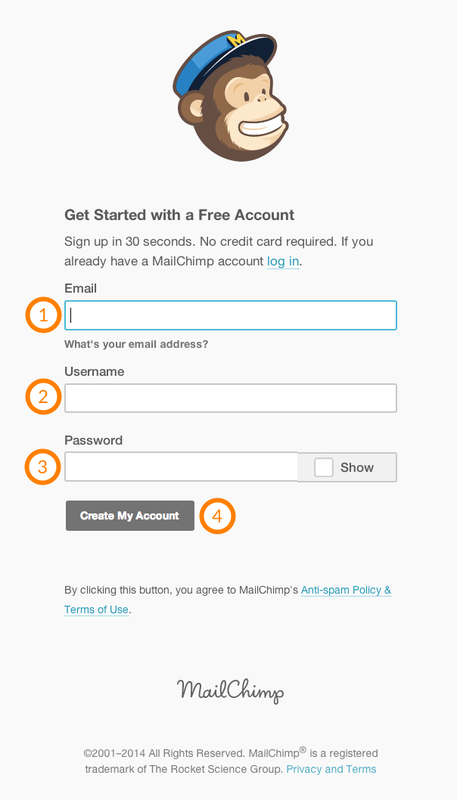 Do you have a url to where you are adding the opt-in form? Forgive me for being so new to the blogging world, but I have a question. When a person decides to use MailChimp for their blog, does it automatically override what you originally set up in WP? 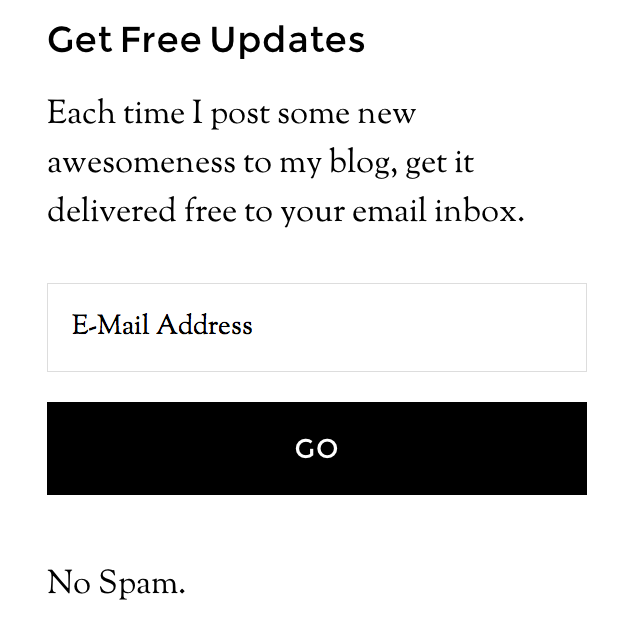 When I first started to blog several months ago, I just let WP automatically send my newsletters. Its not going to be automatic, you will need to make the change. Although, I must say that I am not clear how WordPress was/is sending your newsletters automatically? Were you using the JetPack plugin to send newsletters? Honestly…I’m not sure. I’m on information overload! LOL! I just checked…when your in the Admin panel, under “Settings”, then “Reading”, there’s an area that reads, “Blog Follow Email Text”. I’ve always just assumed that’s what it did:( Pretty bad right…Good grief the struggles. It’s downright painful. Originally I bought a theme 3 years ago that no longer exists…niiice. But, I thought I’ll just use it for starting out. 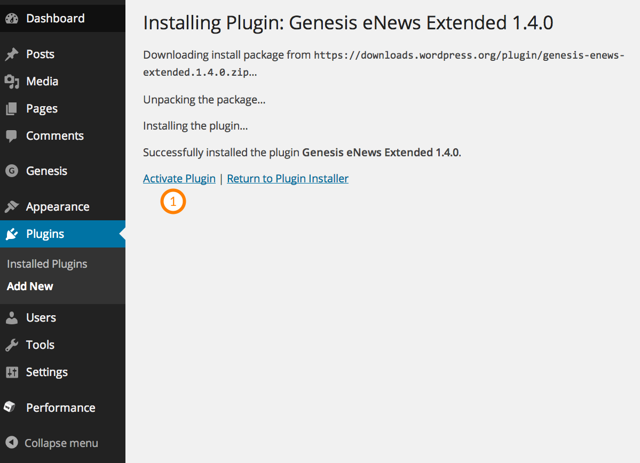 Then, I became a big girl, and bought the Genesis framework, a new theme from Restored 316, and now the struggle begins again. So, I have this theme, and it told me to down load the plug-in eNews Extended. But then when I started to go through everything, I saw the word “MailPoet” and freaked. So then I downloaded that plug in-_- Now, I can’t understand anything. 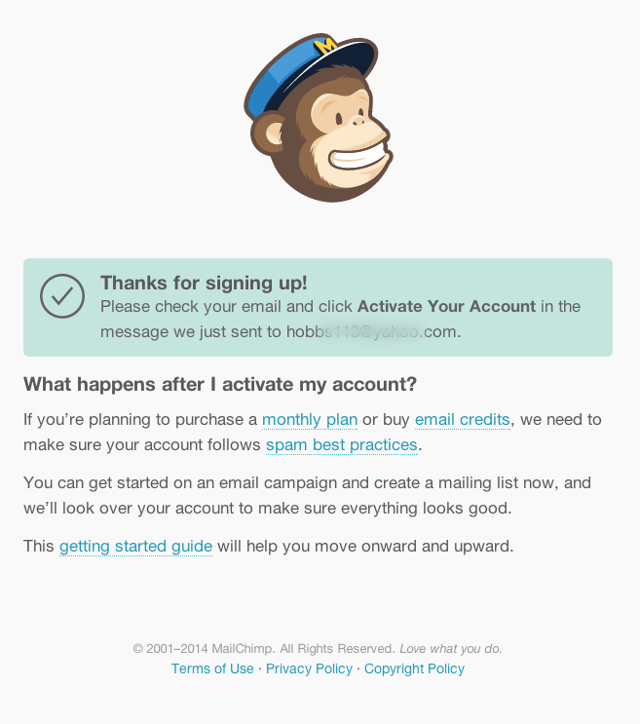 I think I want MailChimp because I like what I’ve seen. Seems user friendly, TUTORIALS!!!!! !, etc. But now I’m afraid to do anything because I don’t know if I have to deactivate something else???? I’m crying over here Jason Hobbs! Please help this poor girl:D HAVE MERCY…. 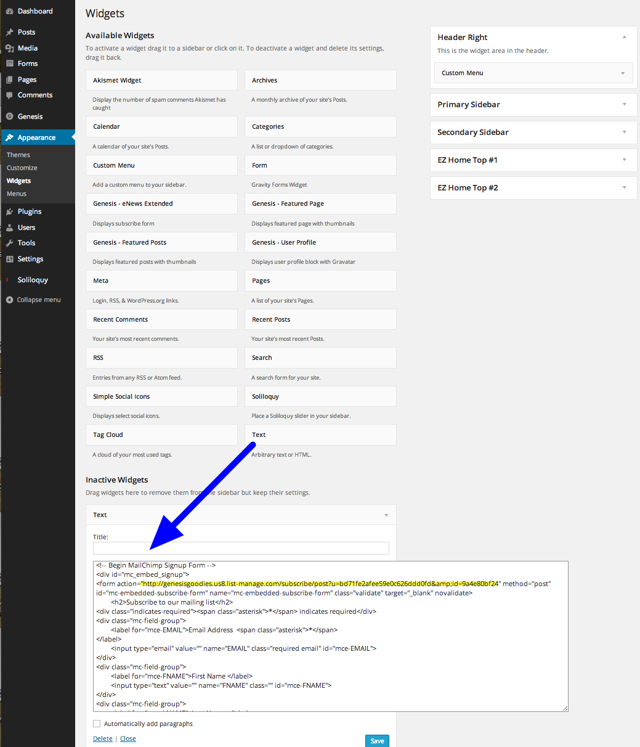 I doubt Restored316 is really commenting on which Mail provider to use along with the eNews Extended Widget, so you’ll be fine using MailPoet or Mailchimp. 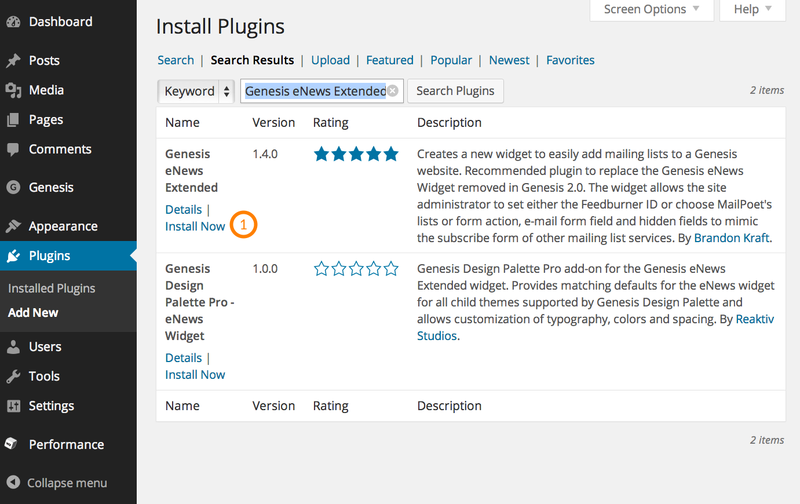 You’re on the right track with Genesis and a quality Genesis Child theme by Restored316. You got this. The technology is merely a means to an end. Your message/service/talent/gift powers your results, in spite of the tech. Okay, I have another question:D I generated my code (chose naked), but noticed that its missing the http: before my web address. Any ideas? And was I suppose to get the API key? Don’t need the API key, did you try the URL without the http:// already? 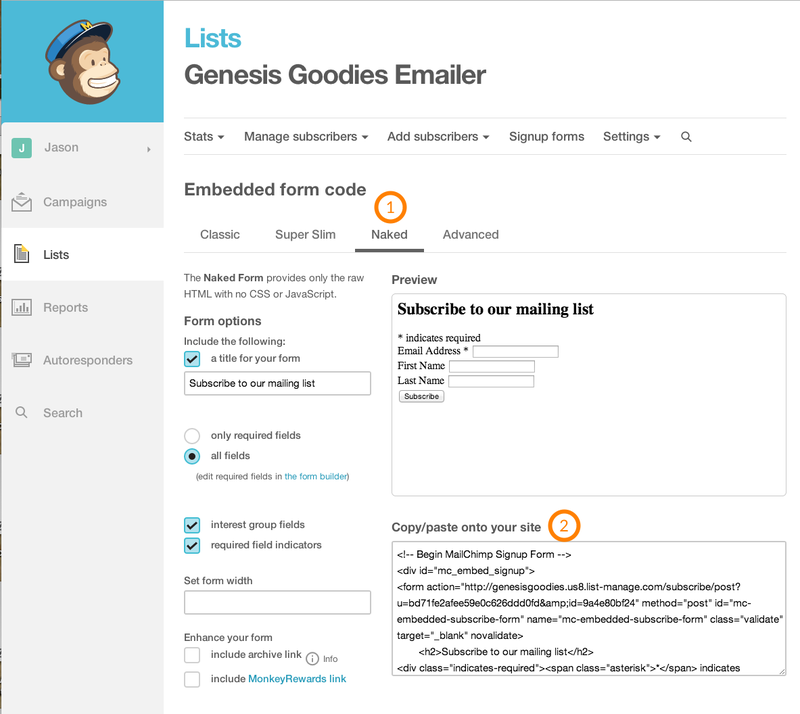 You realized you only use the Form Action URL from the code block you copied within Mailchimp? 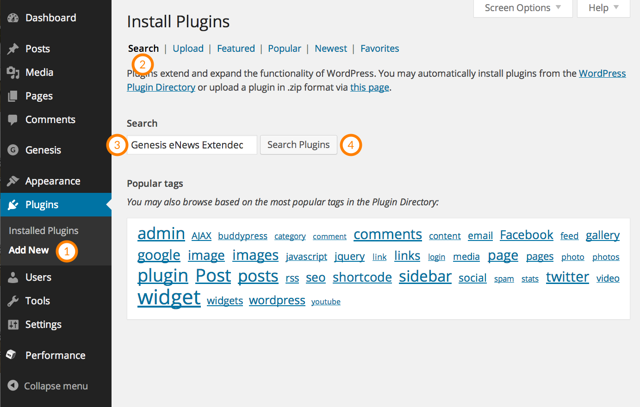 Hi, this is the first plugin I’ve attempted on this site. I’ve followed all the instructions, and for whatever reason it’s not reflecting the changes when I hit refresh. Any ideas? 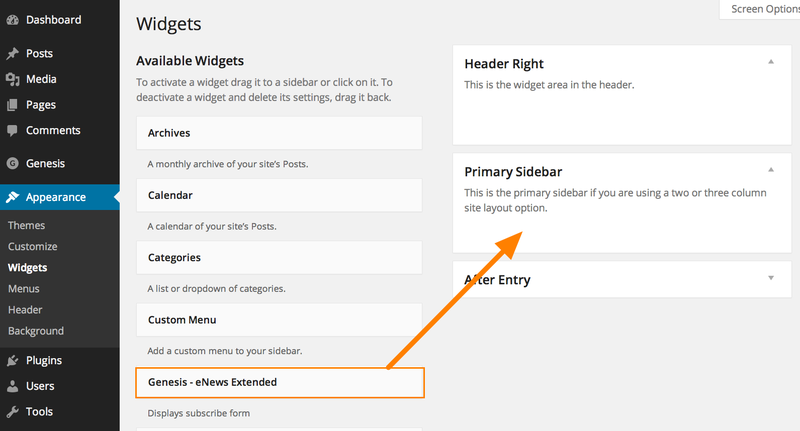 You’ve added the Genesis eNews widget, by dragging it from the top left of the Widgets panel found by clicking Appearance –> Widgets once you’re logged into your WordPress backend? You need to drag that widget into the Primary Sidebar or other widget area. Then complete the title. As well as the text areas appearing before and after the form. Then add the Post Action URL. 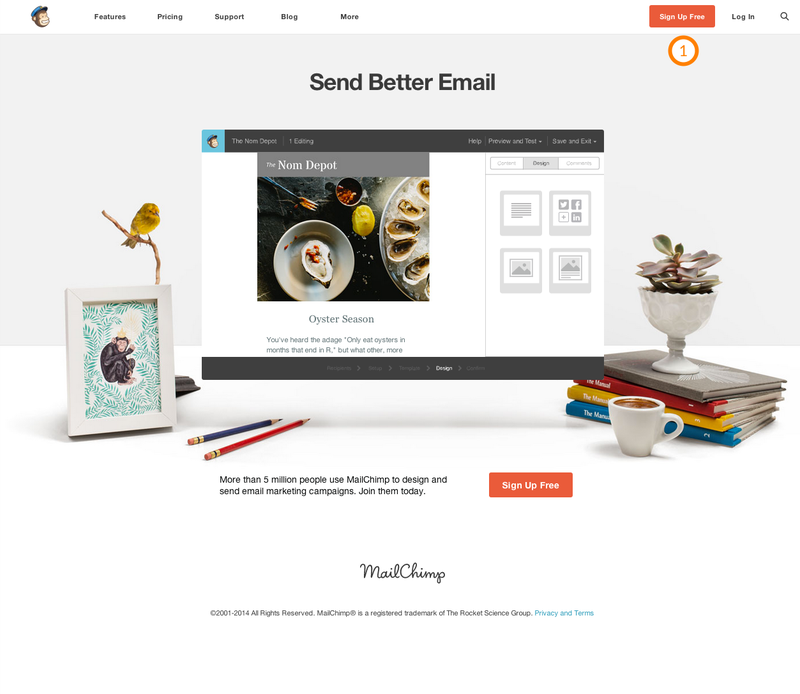 Type: EMAIL into the email field and be sure to click the save button. 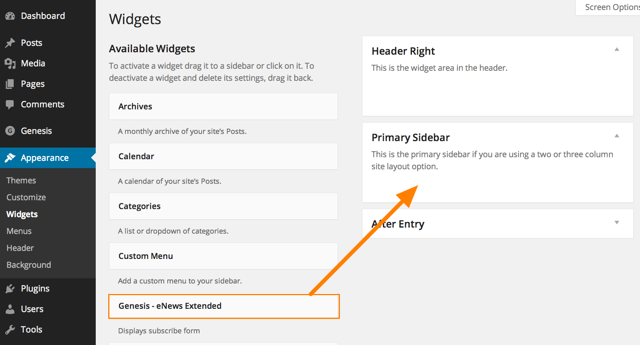 Then, when you head out front of your website and look at your primary sidebar using the Modern Blogger Pro child theme and look at your sidebar, it will show the form for people to sign up for your email list. Make sense? Just reply if you’re still stuck. Thanks! I repeated everything twice, to no avail. I uninstalled the plugin and reinstalled it, and it worked. Very weird! Thank you for your help. I appreciate your responding so quickly. Hi! I have a similar question to Cindy. I copied the form action URL but it didn’t show http before it or anything like that. Looked really weird. 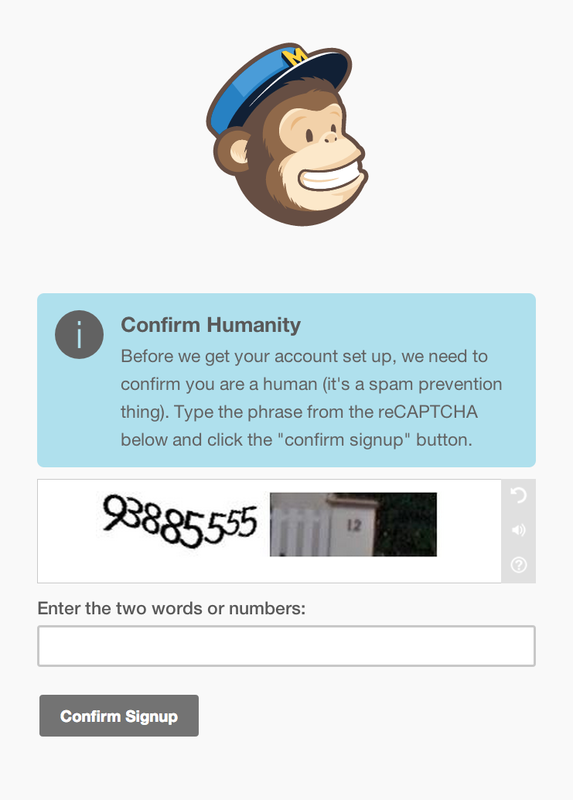 Then, I tried to test out the sign up on my own to see what happens and it allows me to enter in information and says I need to confirm by clicking on the link they will send to my inbox…. but I never receive anything in my inbox to confirm. Does that make sense? What did I miss? Never mind! Looks like it just took a long time to come through!